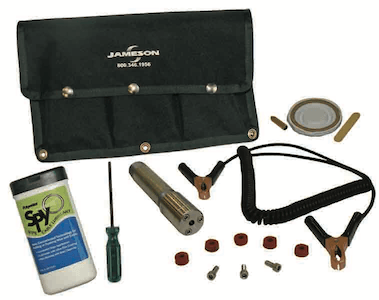 The JAMESON Water Line Tracer Kit is a new locatable rodder system designed to trace the path of pressurized non-metallic water line from the meter to the home. 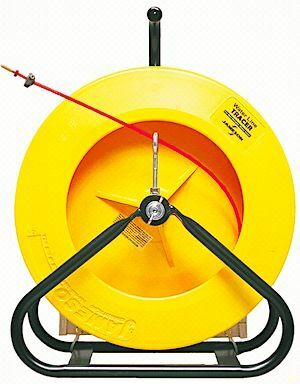 This new product allows for technicians to utilize traditional pipe and cable locating equipment and includes a traceable fiberglass rodder and unique stuffing box. 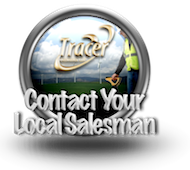 When used properly, targeted pipes can be located while still pressurized without the need to disconnect from the main. 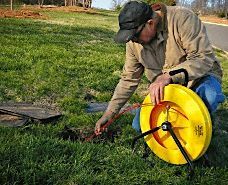 The Water Line Tracer Kit consists of a traceable duct rod & reel assembly, specially designed tip, and proprietary stuffing box system.